You have found THE ONE that makes you smile, makes you laugh, make you feel safe, makes every day brighter and loves you unconditionally. Now what? After all the excitement of the BIG announcement….there are some things that you need to do to get the ball rolling. Give me a call n 0404 092 284 or email me at cathphilpott@gmail.com so we can set up a time to meet and have a chat about what you both would like for your day. This is a chance for you to get to know me and see if you are happy for me to be your celebrant. This is of course, a no obligation meeting and it will give you a chance to hear about all the ins and outs of what you need to get legally married. I am happy to meet you over a coffee at one of our many cafes in Berry, at my house, your house or at a venue close to you. Once you both have made the decision to have me as your celebrant… I will require a $200 booking fee that is non-refundable. This secures your wedding date and from there we can get started on the fun stuff……designing your ceremony. Your ceremony should showcase your relationship for all your guests and so I love hearing about how you met, your first date, your first impressions of each other, how your friends felt when you got together, meeting mum and dad for the first time, any traveling stories, about your pets, what you love to do together, funny stories about your time spent together, what you love about your partner and what you look forward to in your future as a married couple. I love hearing about how you both envisage your ceremony. And if you aren’t sure….then I am happy to assist you design and construct the perfect ceremony for you. 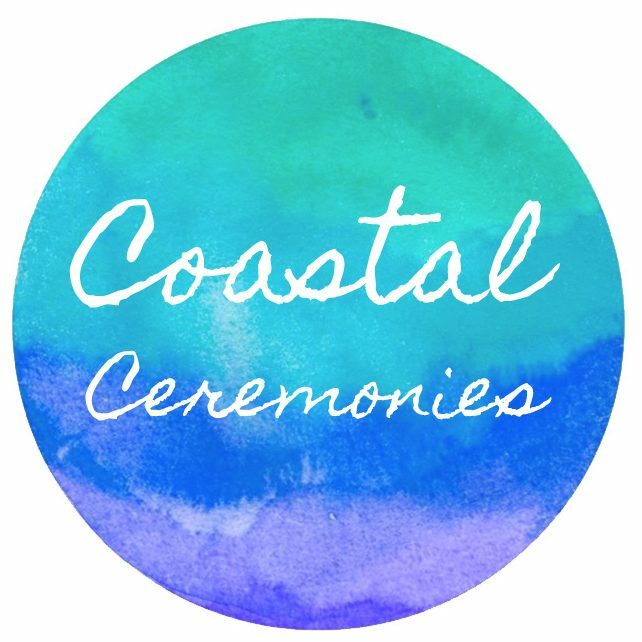 From the layout of the location, the colour scheme, florals, music, readings, length of ceremony, your personal vows, inclusion of family members and wet weather contingency plans. I will then go away and write your ceremony and assist you individually with your personal vows if you need and from there we communicate with each other until we get it just the way you both want. There is no maximum time that I will offer in preparing your ceremony. I am happy to be at your disposal right up until the day of the wedding. *Initial meeting with myself at a venue that suits you both. *Private consultation with bride and groom regarding the ceremony. *Provide examples of readings, songs and format of the ceremony. *Write the ceremony according to the bride and groom’s requests. *Work individually with the bride and groom to write their personal vows. *Provide Portable Audio System with cordless microphones. *Administration and documentation of all marriage documents including application fees. *Rehearsal of the ceremony with the wedding party at the venue. *Solemnisation of marriage as a civil marriage celebrant. *Travel to and from the venue for both the rehearsal and the wedding day. *Presentation of Marriage Certificate at ceremony. *Copy of your ceremony in print. *Application Fees to Birth, Deaths and Marriages for your Official Marriage Certificate. This is where I will take care of everything for you including providing all the legal paperwork required for a marriage in NSW under the Marriage Act 1961 with Births, Deaths and Marriages. Before your Wedding you will need to complete a Notice of Intended Marriage Form (NOIM) at least one month and one day prior to your Wedding. It can also be lodged with me up to 18 months in advance of the Wedding. If you were born in Australia you will need to produce an original copy of your birth certificate. This can be obtained at the Registry Office of your state of birth. If you were born overseas you will need your birth certificate or a current passport. If these documents are in a language other than English, you will need a certified translation of the documents. If either partner was previously divorced, a copy of the decree absolute can be obtained from the Family Law Court in the state where the marriage was dissolved. (please note – this only applies to marriages dissolved after 1975). For marriages dissolved before 1975, a copy of the decree absolute can be obtained from the Supreme Court in the state where the marriage was dissolved. Having a ceremony rehearsal is an opportunity for you both to be sure of how you want your ceremony to go. This is a chance to fine tune anything in your ceremony from where your parents stand…. to when you want your bridesmaid to hold your bouquet. It is a chance for you to practice with the microphones and make sure that you feel comfortable in a familiar setting when it comes to your special moment. I like to hold the ceremony rehearsal at the venue the day before the actual wedding at the exact time. This ensures that we don’t have a bride looking straight into the sun causing you to squint in every photo. Your wedding party have usually arrived at your wedding location the day before so it allows all of the parties taking part in the ceremony to also have a chance to practice before the ceremony. This makes sure that the flower girls don’t get confused as to where to stand or when dad needs to take his seat. Of course your ceremony needs to flow and be relaxed so the rehearsal is not a regimented run through….. we still want those off the cuff moments. Every ceremony should have that perfect balance of emotion, sentiment and fun. You will both have a lot to do on the day so it is my job to make sure all the little things are in place. I will work with your stylist (if you use one) to ensure everything looks as you requested. I will arrive 30 minutes before the ceremony allowing me plenty of time to set up my sound system and check in with the bridal party before we start. I will be there right beside you throughout the entire ceremony so if there are nerves or tears… I got you! I will submit the marriage documents to Births, Deaths and Marriages (BDM) to finalise legalities. I also help out by sending an application for the official BDM certificate which is now required by many organisations for change of name. So all you need to worry about is enjoying your reception and your honeymoon.